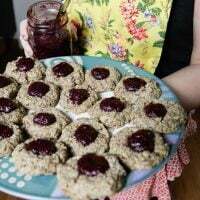 This nutritious, delightfully easy to cook grain (which is actually a seed and therefore gluten-free) is a powerhouse of nutrition. It’s high in complete protein with all 9 essential amino acids. 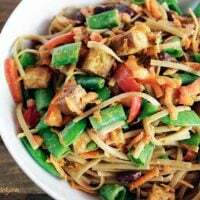 In addition, it has lysine, magnesium, and fiber which lowers risk of type 2 diabetes. I could keep going, but why don’t you read more about it here. On to the Quinoa Salad with Mango Dressing. 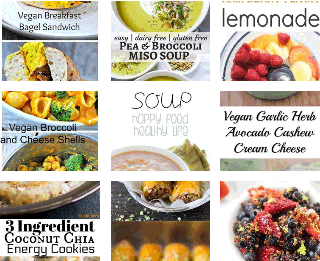 The great thing about quinoa is it goes with almost any meal... 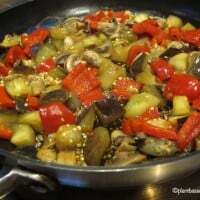 It's great for lunch or dinner and also as a party side dish. And, some even like it for breakfast as a replacement for oatmeal. 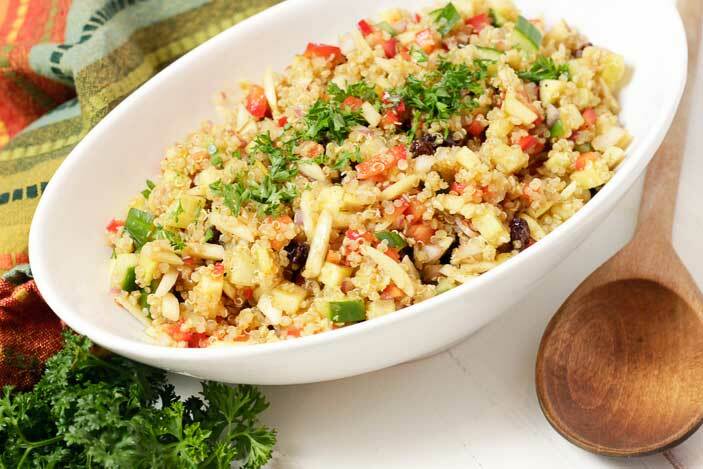 You really don't need a recipe because just about any chopped vegetable would go well in this quinoa salad with mango chutney. 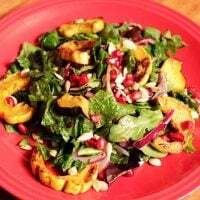 Sliced greens, roasted squash, cherry tomatoes, avocado. 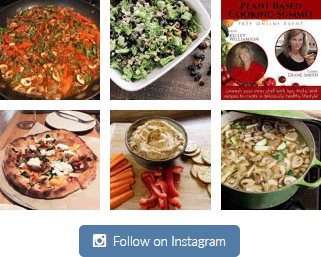 Check out my quinoa salad with spinach here and my mushroom quinoa pilaf, as well. 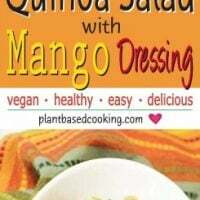 I'd love to hear your feedback in the comments below for this Quinoa Salad with Mango Dressing recipe! 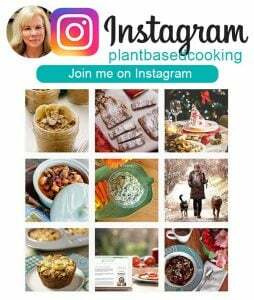 If you have a photo, post it on Instagram, tag me using the hashtag #plantbasedcooking in your caption, and I won't miss it! 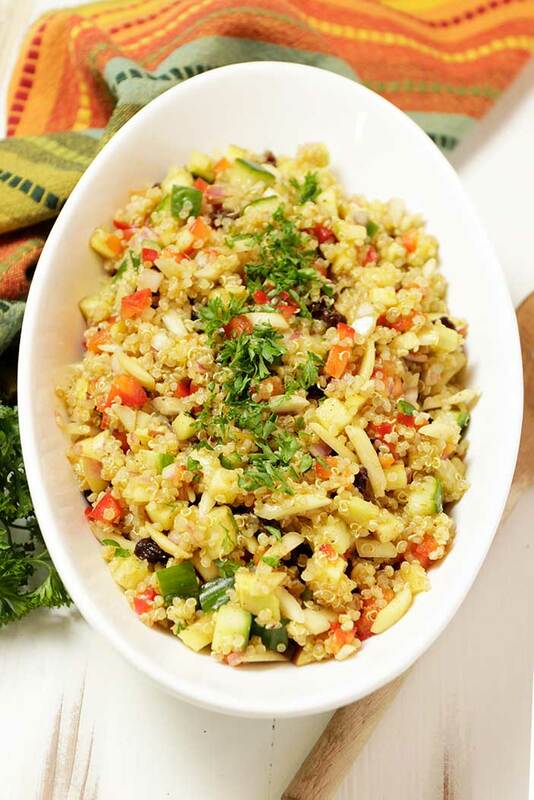 This nutritious, delightfully easy to cook quinoa salad with mango dresing is great for lunch or dinner and is the perfect side dish for potlucks and parties. Cook quinoa according to package directions. Let cool. 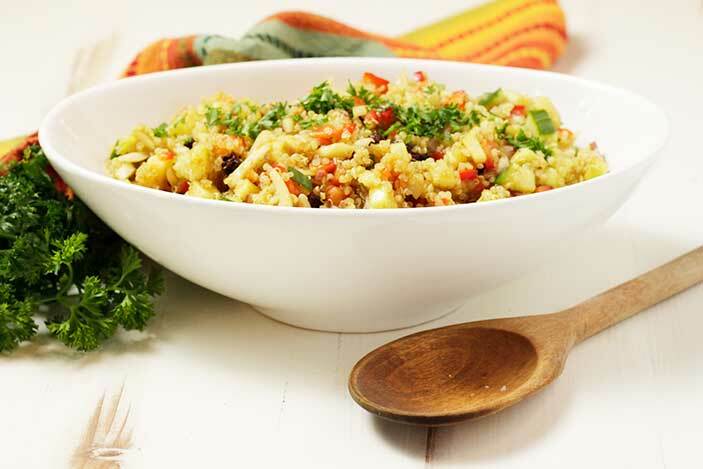 Put quinoa in a bowl and add remainder of the salad ingredients. Mix the dressing in a separate bowl and pour over quinoa. If using slivered almonds, toast in a dry frying pan for a few minutes until golden brown, add to the bowl. Stir to combine and let sit a few minutes for flavors to blend.